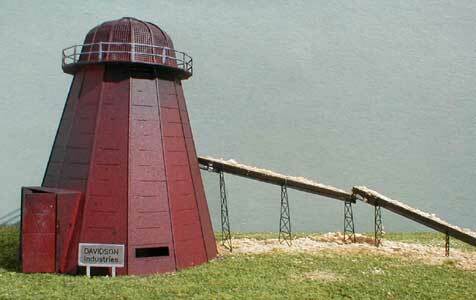 There's a reason why this is one of the most popular brass farm windmill kits available today. Microscopically acid etched in the finest industrial brass makes this a must for any N-scale enthusiast. This would make a great present for any occasion. Authentic design taken right from the lumber mills of the Pacific Northwest. Made from the finest materials. The brass this burner is etched from will last a life time as will the pleasure this kit will bring. 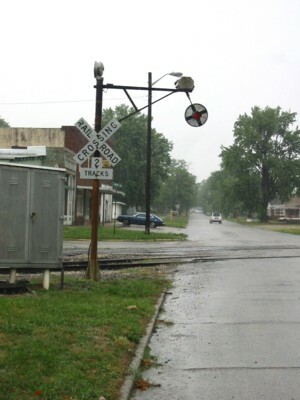 A must for all serious train scenes. Looks like the real McCoy, doesn't it? These 10 sections of barbed wire fence (3 gates and a cattle guard are included) will spark up any farm or wilderness scene. You've got to have this one. Watch Out For The Flames! No mountain top should be without this one of a kind Fire Lookout Tower. Kit comes complete with stairs, interior furniture and lots of extras. 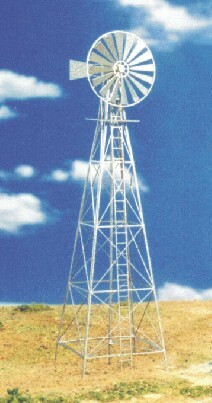 The Fire Lookout Tower is approximately 55 feet high in N Scale. It will also look great in other scales as a distance lookout (forced perspective).